Seven Group Holdings has a diverse portfolio that includes industrial services (Coates Hire, CAT dealerships), oil and gas (SGH Energy), and media (41% share in Seven West Media which includes the Seven Network and the West Australian newspaper). 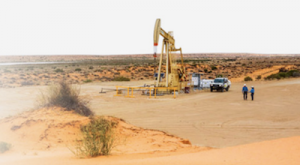 Seven Group also has a 29% stake in Beach Energy – Australia’s largest onshore oil producer, which operates mainly in South Australia and Queensland. Both Seven Group and Beach Energy had their annual general meetings (AGMs) this week and were questioned on whether they made progress on disclosing climate risk this year. Seven’s board members were also asked whether the group’s current business strategy is aligned to any particular energy outlook for energy projections and analysis. Energy outlooks are forecasts of future trends in energy sources, relating to different models of global warming scenarios – important considerations for a company in any sector exposed to a greater level of physical climate-related risk, according to the Task Force on Climate-related Financial Disclosures (TCFD) 2017 report. Earlier, Stokes had said his board hadn’t done anything to formally educate themselves about climate change. Seven Group also doesn’t appear to have carried out any scenario analysis which would put it in a position to align its business with a particular energy outlook. To date, Seven Group has not disclosed analysis of the company’s performance in an economic scenario where global warming is limited to less than 2°C – or any other climate scenario – leaving investors in the dark about the company’s management of climate risks. In its latest Annual Report, Beach acknowledged it is “likely to be subject to increasing regulation and costs associated with climate change and management of carbon emissions” (page 51). However, when the board was today asked what they’ve done to educate themselves on climate risk over the last 12 months, the upshot was they had done nothing. And when one shareholder asked if Beach stress tests major financial and capital expenditure decisions against different climate change scenarios, she was pointed to Beach’s 2018 Annual Report which mentions ‘taking into account’ the recommendations from the Task Force for Climate related Financial Disclosures (TCFD). Similar to Seven Group, Beach Energy’s recognition of climate risks and the TCFD is a slight improvement on its position last year. But it still has a long way to go – and not a lot of time to get there. As highlighted by Australian Prudential Regulation Authority (APRA) president Geoff Summerhayes asserted in 2017, climate risk is “foreseeable, material and actionable now”. But, like so many other publicly listed Australian companies, Seven Group and Beach Energy need to show investors they are making serious moves to recognise and manage climate-related risks. Your super fund may be invested in Seven Group Holdings and Beach Energy. Tell your fund to demand more climate action from companies your retirements savings are invested in!